It’s scary to think you could find the perfect house and then realize there is something terribly wrong! Normally the “big” items are caught during a home inspection and you either receive leverage on negotiating the house’s price or you have the opportunity to walk away. The only problem is when it happens to be a sinkhole it is difficult to predetermine the problem. Sinkholes in Florida are much like floods or even hurricanes, you know if you live in an area that is prone to these “acts of God” but you cannot tell the future so you never know if or when a sinkhole will actually occur. This is exactly what happened in a neighborhood just 50 miles north of Tampa and no, this won’t be the first or the last. 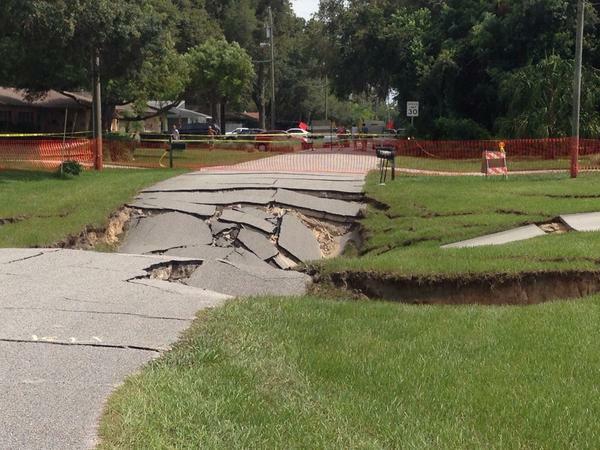 On July 20th a sinkhole opened up in Spring Hill, FL right in the road and adjacent front yards 40-yards wide and 30-feet deep. County officials will investigate the hole to determine the next action. Engineers will look at geological test to ensure the hole is not going to grow even further. No one was hurt but until the investigation is complete three of the closest home owners are awaiting the results and the fourth homeowner is planning to move out. Insurance costs and effects the sinkhole would have. Acts of God can happen almost anywhere. 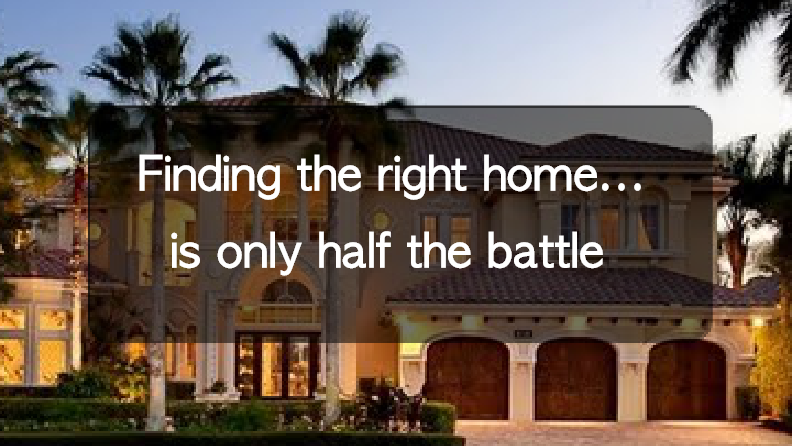 Knowing your neighborhood is more important than how much you love the house. Bottom line is Florida is all limestone and when the water table drops the cavities under the surface can open up forming a sink hole. With an increase in property development, water management (or there lack of) and erosion it is sometimes a recipe for sinkholes. There is an upside though, you can get this information and have the ground tested by professional engineers. There is always a chance something not so favorable could happen but do your due diligence of the areas you are looking to live in. Much like living in flood zones, sinkholes are tracked and state geologists are working on creating a statewide map showing where sinkholes are most likely to form. The fieldwork they completed has offered a “relative vulnerability” map that has proved to be 93 percent successful in the plot area predicting where sinkholes will form. The plot area includes 230 locations in the Columbia, Hamilton and Suwannee counties. If you are in the process of searching for a new home you will definitely benefit from the information provided on our MoveMap! You can research all kinds of information about your potential home, neighborhood and surrounding community so you can make sure the home you buy is the perfect home for you!